Some people use towels to dry their bodies after a warm shower or frolick in the pool. For married couple Albert and Shannon DiPadova, however, that’s so limiting. Towels can and should be more than cloths; they should be clothing accessories. 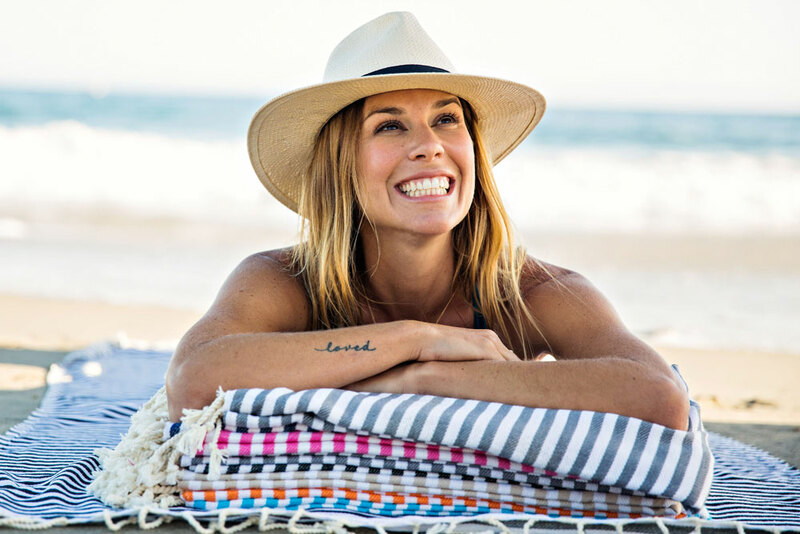 The husband and wife team own Riviera Towel Company in De La Guerra Plaza, and have combined a hobby with a passion to simultaneously create one of Santa Barbara’s warmest and coolest products around. He’s a New York-Italian and she’s a Santa Barbara-Italian, and together they created the company three years ago as a wholesale and online store. They opened the Santa Barbara store at 727 De la Guerra Plaza in March and are hoping to introduce their product to a wider audience. A percentage of the sale of each towel goes to the Santa Barbara Channelkeeper and other marine organizations. "We are donating funds to these agencies to help them heal and protect the oceans." The company imports towels from Turkey, Tunisia and Greece. They are thin by design and dry fast. The roll up tight, and can be used as fashion accessories, such as wraps and scarves. He said the tassels on the towels are all hand tied. “The ones from China fall apart,” he said. They come in about 60 different styles and design, and in 10 colors. They reflect the Rivieras of the world, including the Italian, French, and American Rivera — Santa Barbara. Shannon customizes the towels with various styles, patterns and colors. The U.S., Albert said, is just beginning to jump on the Turkish towel train. Those interested in the towels can also visit rivieratowel.com.